The Gyula Castle Theatre operates in the court of the only brick castle that has survived in Central Europe. Between the beginning of July and 10th of August the guests are entertained with the best performances of historical and modern dramas, different forms of prosaic theatre, opera, musical, ballet, mediaeval courtyard-music, jazz, blues, classic-, folk-music concerts, puppet shows and folk and modern dance performances in the summer theatre. 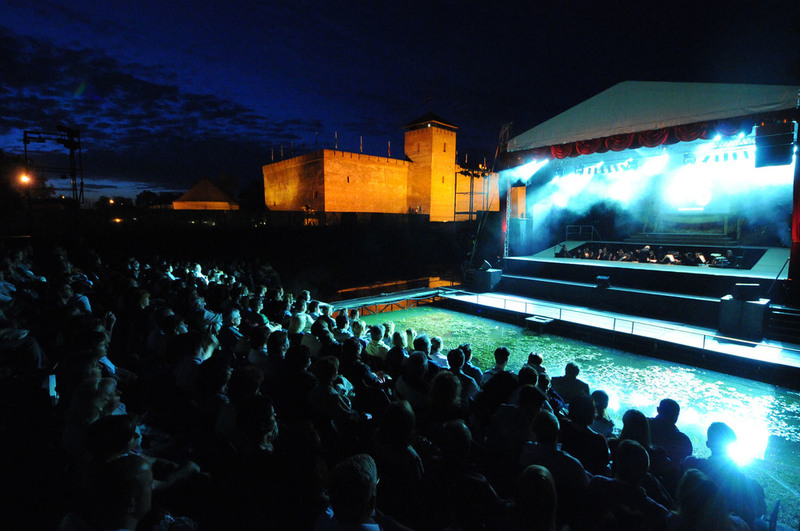 Not only the court of the fortress is turned into a theatre, but programmes of great variety are available on the nearby Lake-stage and on stages set up at different places in the town. Since 2005 Gyula Castle Theatre has been organising the international Shakespeare Festival in begin of July. The ten days long Shakespeare Festival is part of the six-week all-art festival-program of Gyula Castle Theatre as an individual festival. Every year it starts with one new production from Gyula, which appears on stage several times. Every year it hosts at least three performances: one from inland and two from abroad. The festival hosted the best international artists’ works: Peter Brook, Robert Sturua, Eimuntas Nekrosius, Oskaras Korsunovas, Andrei Serban, Silviu Purcarete and many more. And the best Hungarian artists appear here, too. In addition to the main programme, to colour the festival with the first appearance of theatrical performances and other genres in the sub-program, guests can enjoy renaissance and modern music concerts, street theatre performances, alternative theatrical performances, the performances of students of dramatic art, screening of films, Shakespeare conferences, and Shakespeare-time cuisine – gastronomy. The performances were chosen after the suggestions made by the six-member Shakespeare Committee.